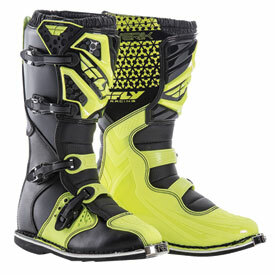 The Fly Racing Maverik Motocross Boot pushes the limits of feature and function at an unbelievable price. 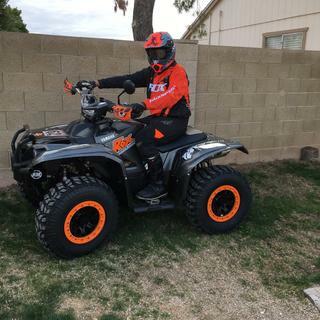 A genuine leather heat shield, anti-dirt repelling top gator, molded impact resistant shin plate, full printed upper, and Fly Racing's original designed secure and easy action buckles. Stand up, be a Maverik, and wear the Maverik Motocross Boot. Race sole with steel shank. After 40 miles and a wash! I purchased the white pair and while right out of the box I was able to get them to feel broken in - the boot had a strange yellow/green tint around all of the seams. Not so appealing with a clean white boot. I figured the boots may last a season of riding and they don’t break the bank so i kept them. Nice boots but tight in the calf, mind you I do have large calf muscles. The boots were a pain to latch and buckle. I guess if my calfs were like normal people they would fit great. Great price and quality for intermediate rider. Size and fit was perfect good price for intermediate level rider, son was very happy to get them ! These ae some good pair of boots only owned them for the last 7mo. to a year now and they do what they need to protect my leg. I will say I'm glad I had them because I had a pretty good crash with my ATV and I ran into a tree. but when I did I was real happy I had these boots because I didn't have any nerf bars yet. so to keep it short for the price they are great if you want more then pay the money to get something better I went with these and I'm satisfied. I have several pairs of fly boots and I love them all! Good value and price. Boot was a good price and description was as described. True to fit. Overall good boot for the price. 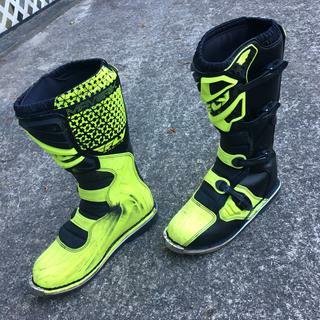 This boot is a classic motocross boot. Heavy and stiff definitely takes some time to brake in. But is well made and a great deal when kids grow out of boots so fast. Fly and Rocky Mountain has earned my business for sure! Very impressed with the quality and the comfort of my maverick boots. The size was spot on. Rode about 20 miles with them so far and they’re already getting broke in. Much better then other brands. Shipping was quick. Will most definitely buy another pair when needed again. very pleased with these. had a true fit little stiff at first but they break in nice. Very comfortable and great protection!! These boots are top line and have been wearing fly racing gear for about 10 years with great experiences. Got the boots for grandson who is 12 years old. He is getting into riding his dirt bike. He made a practice track in my yard. He is planning on racing motocross. He is very impressed how well the boots are made and fit . Get what you pay for with these boots. Bought them for my son who rides 6-8 times/year off-road. He likes them. Only took 1 ride to break in and offer good feel/protection. Good value for money. I would recommend these boots to every one who is looking for a good boot for cheap. These boots do what they are made to do. very nice set of boots for the price! Boots fit a little on the small side, im usually a 11. got the 10.5 and glad i did, Alot of support as well! For the price these can't be beat for a kid that is still growing! These are a great pair of boots! They fit true to size and the offer great protection. I would definitely recommend these boots! Good boots for the money. Break-in time is minimal. Worn in a few races, comfort is good. Sizing is spot on. Can't say slot about their durability, only had them a short time. Would not hesitate to buy them again. Great boots for the price!!! And fast shipping!!! Love ordering from rocky mountain!!! Sizes run a little small. I have wide feet so I ordered an size 13, fits good. I only have had them for a few weeks but they are holding up well. Comfortable boot once broken in. Motorcycle boots take a while to break in, and these are no exception. The stiff plastic isn't comfy, but these do a great job of protecting your legs. I usually ride motorcycles, but hopped on a 4-wheeler the other day. Got stuck and used my legs to push out, forgetting there are wheels back there. Ran over my own calf and didn't even feel it! I would never ride without a helmet, but in my opinion, protective boots are more important -- I have only landed on my head once(! ), but my boots protect my legs from constant beatings. This is my second pair. Great boots for the money. 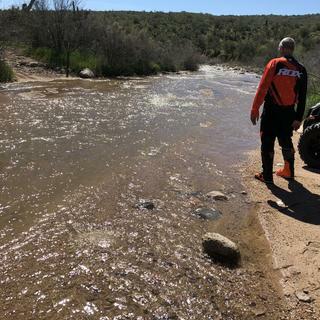 Several of the local Enduro riders have them. First pair of boots I've ever purchased for riding a newly acquired quad. They fit great, I'm happy with my purchase and would absolutely buy again. these boots are the best boots you will ever find for this price no doubt. if you wear a size 9 in shoes get a 10. go a size up. honda of the Ozark sells these for $120. cant beat $89! Fly boots are 89.99 dollar boots. I would not recommend these boots. The inside padding is limited for a mx boot. For me I have had issues with the right boot severly pinching the side of my foot at the bottom buckle. I can feel the metal on the back of the buckle from inside the boot causing the discomfort. The more the boot bends the worse it pinches. Just not a recomendation for motocross riding. Love the boots they’re awesome! Boots fit great out of the box. Have about 5 hours wearing them and wouldn't hesitate buying again. Oddly shaped, size 13 is huge. Wore out my old Fox Comp 5 boots, so I gave these a try to save some money. They did not work. I ordered the same size I always wear in boots (13) and my feet and ankles were swimming. Also, the soles were shaped like bananas, so my feet contacted front and rear, but my arches floated way above the center of the boot. It was a very strange feeling and I couldn’t feel where the pegs were under my feet. 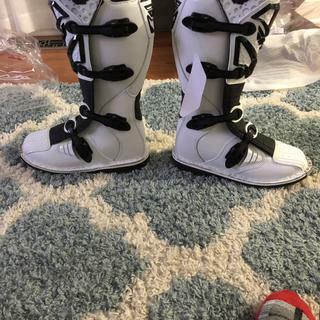 Anyway, I gave up on these and ordered another pair of Fox Comp 5 boots and they fit beautifully. True to size, snug in all the right places and much more compact outside dimensions. They feel like tennis shoes in comparison. I honestly got the boot cause of the price. Its a great starter boot for getting back into MC. It fit a little small. I have wide feet so I usually wear a 10.5 wide shoe so in these I got a size 11. Fits pretty good. Probably will do better once they are fully broke in. -m-2007 YAMAHA TTR230-- Pretty stiff out the box but very good protection without breaking the bank my first pair of boots. I highly recommend these to anyone. are excellent boots. Fitting is on the money, perfect size 10.
the are starting to break in, with knarly ankle support. Great boots! They are very durable and took a beating this weekend and look tip top! Not a bad boot for the $. Only used them once since buying but they performed just fine. Can’t wait till they’re broken in a bet more. Boot has handled a beating already and performed well. Finally broke in, and that helped.... Doesnt breathe at all, so sweaty feet will be there. Boots were very stiff out of the box, but broke in easily. I only ride on the weekends so I wasn't going to spend too much money. These are great boots for under $100. Good quality! Make it nice to ride in. I can take corners in my bike tighter. I can hit a rock and it doesn’t hurt. Great boot. Fit is true to size and very comfortable. I wear a size 12 sneaker and work boot and got these in size 12 and they are perfect. Plenty of adjustments in the clamps for smaller or larger legs. I have larger legs and with my socks and pants tucked into the boot still have room and aren't to tight. A very good value on a basic mx boot. Very stiff out of the box. Requires a fair amount of break in time, but overall offers very good protection at a reasonable price. Great product, wide toe box! Really impressed for the money. I have double wide feet one short 2 hour ride and I had zero issues or complaints. Very good boot for the money! Is the size in men's? BEST ANSWER: Yes, these man sizes. i have big calfs will these boots work for me? BEST ANSWER: Yes, My son is the one that used these boots and he has larger calves and they were not too tight for his legs. Andrew, I went out and tried my Maveriks on to see if I could help answer your question. I pretty much have chicken legs. After trying them on with my knee/shin guards I would have to say they will be too small for your calfs. I feel you will be fine. All the buckles have plenty of adjustment. But, like any new riding boot they're stiff at first. They are really easy to take on and off as the inner liner is short. Hope this helps. Yes. These boots have a wide adjustable range. Especially around the calf area. I am on the skinny side, and they don't seal tight, so if you have larger calf's I see no issue at all! yes they will work for you. I am tall (6'4") and thin (195 lbs) the calf's of the boot are a little big for me. They might be tight, I have big calves too, but I wear over the boot pants, to allow more room. They are adjustable, so they should work. Is this boot sold in US size? BEST ANSWER: Yes, these are U.S. size. How is the fit ? BEST ANSWER: They have a bigger "toe-box" area. If you wear a sz. 10, get the 10. A sz. 9, get the 9, etc. But you might want to wear a thicker type sock to take up a little bit of room and to make it a little more comfy. 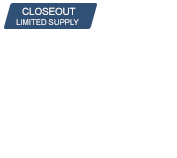 As a low price point boot they do not have the padding materials that a higher price point boot have. A little stiff for a while too. 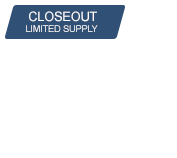 Good deal for one of the lowest price point boots. Fits just like your average pair of like work boots, and they are very comfortable. Love these boots! Like a glove! a bit snug, but they are supposed to be to give proper support Great boots! Seem to be right on point. How do the sizes run on these? I've never had motorcycle boots, but I usually wear a 15 or 15 wide in work boots and combat boots (Timberland, Rocky, Belleville). BEST ANSWER: Jay, the Maverik boots pretty much run true to size as far as inside fit. As far as the outside size of the boots the toe box (outside diameter in the shifter area) runs a little bigger than most . You may or may not have to raise your shift lever up a notch. Quality is pretty darn good for a lowest price point boot. I got the Hi-Viz (neon yellowish-green) color scheme for the looks. The boots are nice and light (as are most price point boots, easier on the knee joints/etc.). If you can find them for the $100 mark I don't think you will be disappointed. I have bought multiple pairs of these boots. I usually have to get a new pair for my sons (2) each season, b/c they outgrow them, not of wearing them out. I cannot attest to the longevity of these, we usually outgrow them too fast. We have never had any issues with any of them. I always buy 1 size over, too allow for growth or extra thick socks. I purchased them for my boys and they ran true with other shoes and boots they wear. I would run with your normal size. Worst case is a return and Rocky Mountain does a fantastic job with returns. No hassles at all! I bought size 13s and they fit perfectly. I always run awkward shoe size with 12 being slightly too small and 13s being slightly too big but they fit real well for my size. Go 15s. I typically oder MX boots a size large. I would suggest it on these as well. They seem to fit the same. My son wears 9 and the 9 boot fits him good. BEST ANSWER: Yes, these have a steel toe guard on them. So I wear it 13 size shoe but what size should I get? BEST ANSWER: My experience is true to size. Whatever size shoe you wear this should fit the same. They are a tiny bit big on regular socks but with mx boot socks on they fit perfect. They run true to size and even bigger on the shifting area. We have found that Fly Boots run pretty close to shoe size but it depends on how tight you like your boots. My son wears a 11.5 shoe but got a size 11 boot. I wear 11 size shoe and size 11 boots fit me almost perfectly. I ordered a half size up when I got mine and they fit perfect. i have a size 15 foot would these boots be comfortable for me? BEST ANSWER: My foot isn't as quite as large (10 lol), but my foot is wide and I sometimes have a hard time finding something comfy. I will say I have plenty of room in my boot and quite enjoy this set. Break them in and be happy! I'd recommend mine to anyone. Comfortable yes, but you will definitely need to adjust your foot controls. Depends if you have a wide foot or not? How are the buckles will they last I've seen some that have a little rod that snaps between the plastic and that seems cheap? BEST ANSWER: OK here is the deal - took me a minute to figure it out... Some of the buckles were too tight for me. You CAN adjust them by taking them off your foot and pushing the strap out from inside the boot. I would imagine that you could break the pin/rod if you do not have them set right. Take a minute and loosen them up a bit. Seem like a good pair of boots. I was concerned about the rod, as well. Not anymore. Have fun.. I have had mine for a year and have had no problems with them, they seem sturdy and well built. They are pretty big in the circuits we go to as well..
For plastic buckles they are pretty stout. No problems so far. Are they more flat footed or are the more rounded? What size would you recommend for my son he wears youth size 6? go up one size so you can get more use out of them before he out grows them because they will last.This is a great beginner boot. I found the boots run small. I had to go up 1 size from a 11 to a 12. IS there a place that you show the weight of all the boots for comparison? BEST ANSWER: The pair weigh 6.5 lbs. or 3.25 lbs. for each boot. Each boot weighs 3 1/4 pounds, 6 1/2 for the pair. I have a 19 in calf will these work for me? BEST ANSWER: I bought these last year. I have an 18.5" calf, and there's still plenty of adjustability left. You should have no problem, if you haven't already made a decision. these boots are awesome they should work! I wear a size 10.5 but they don't offer it. Do these boots run a tad big or small in the toe area? Should I go to 10 or 11?